File Types: EPS,JPG,All Files; File Size: 2.02 MB; Vector: Yes. 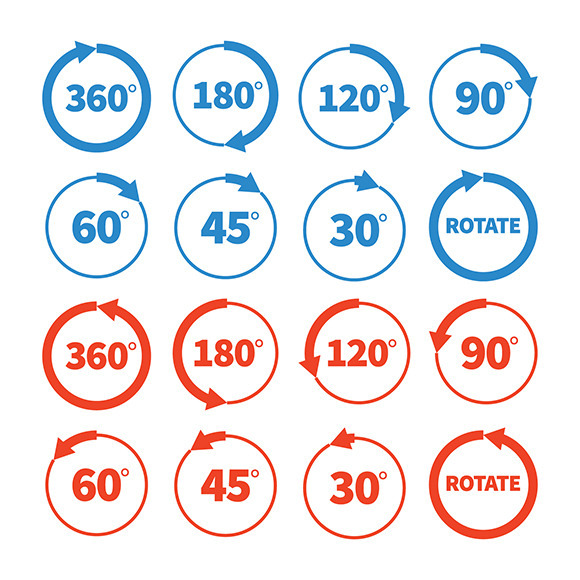 Different rotation angles vector icon set 360 180 120 90 60 45 30 degree. Keywords: rotation, circle, icon, sign, symbol, 90, 180, 45, 30, degree, flat, set, number, arrow, 120, 360, 60, clockwise, counterclockwise, counter.